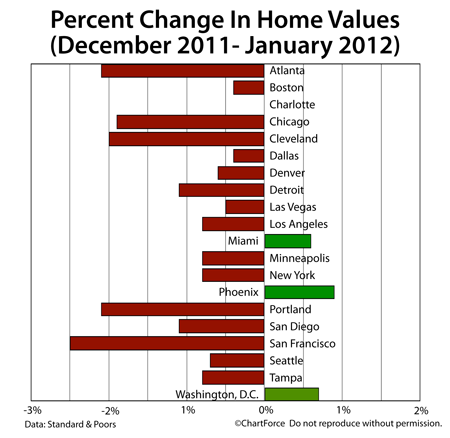 Recent data suggests that the U.S. housing market is in recovery. However, the data also shows this to be an uneven recovery. It’s easy to point to the Case-Shiller Index as evidence that the housing market in TN has yet to bottom, but we have to consider the Case-Shiller Index’s shortcomings — specifically in a recovering economy. Lastly, the Case-Shiller Index is published with a “lag”, which renders it useless to buyers and sellers of Brentwood in search of real-time, relevant data. The most recent Case-Shiller Index is published with a 60-day delay, and accounts for home purchase contracts written between October and December 2011.